America's all-time favorite food made easy, delicious--and healthy. 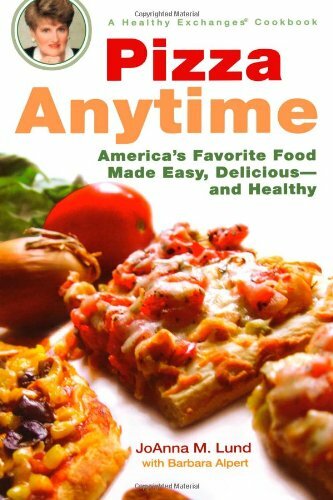 Pizza Anytime serves up more than 200 recipes, from appetizers to main courses, and even desserts, of America's favorite food, pizza! Now pizza lovers can enjoy this treat any time of the day. From Tex-Mex Appetizer Pizzas to filling meals of Irish Potato Crust Pizzas, and such dazzling desserts as the Caramel Apple Pizza Pie, JoAnna's tasty pies are quick to create--and healthy to consume.